Publisher's Note: Products purchased from Third Party sellers are not guaranteed by the publisher for quality, authenticity, or access to any online entitlements included with the product. 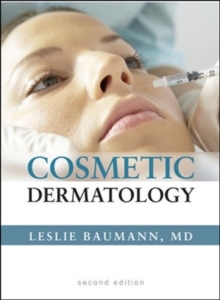 THE ULTIMATE SOURCEBOOK FOR UNDERSTANDING THE SKIN AND ITS APPEARANCE"A concise, well-written, and well-illustrated overview of the topic of cosmetic dermatology that will prove useful to all physicians who care for cosmetic patients. "-Archives of Facial Plastic Surgery, reviewing the first editionCosmetic Dermatology offers complete coverage of the latest, most effective skin care agents and procedures. Spanning the entire spectrum of cosmetic dermatology, it takes you through the most current medications, cosmeceuticals, and procedures. Presented in full color, the book is firmly grounded in an evidence-based, clinically-relevant approach--making it perfect for use in everyday practice. 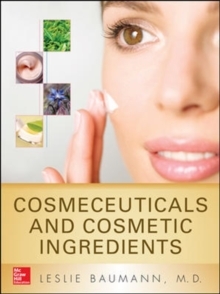 FEATURES:Guidance on the efficacy of over-the-counter and prescription skin care productsStep-by-step review of must-know procedures A focus on the newest drugs and topical agentsNEW! Expanded insights into laser treatments, varicose veins, and cosmeceuticals NEW!